I have a new mission for us to do together… below is a video explaining…and I hit publish before I chickened out or went to try to put myself together and re-record. 1. Leave a comment for me today to share in the journal before we send it out into the world– tell me something you wish someone had told you, your fears, your best (and worst) parenting moments or stories, something funny or shocking, anything you wish you could say but don’t always feel like you can, a note of kindness for another…anything really! The comment can be anonymous or you can send them to me at patience@kindnessgirl.com. 2. 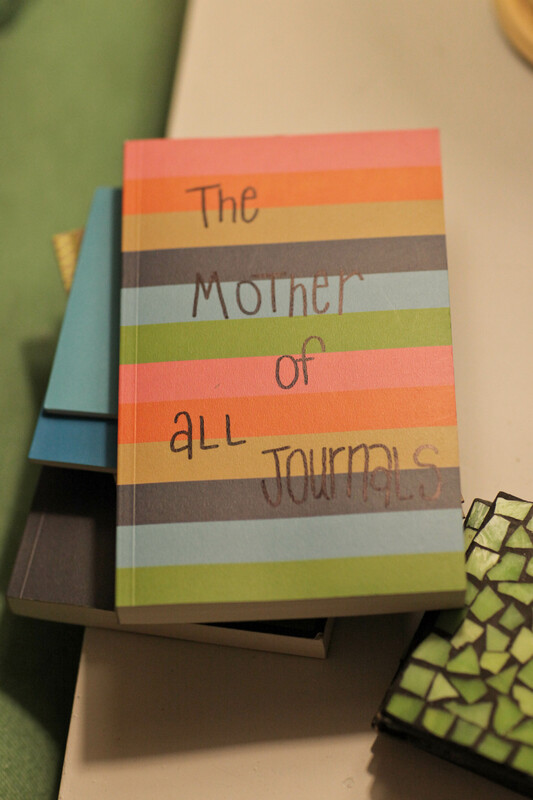 I’ll write them in the journal and then leave the journal in a public place where I think a mother might find it. 3. When the journal is full, on the last page we will leave the journal’s fate entirely in the last person to find it. They can decide whether they send it back to me to have the collection shared as an art exhibit or online, or they can keep it, OR they can bury or burn it! 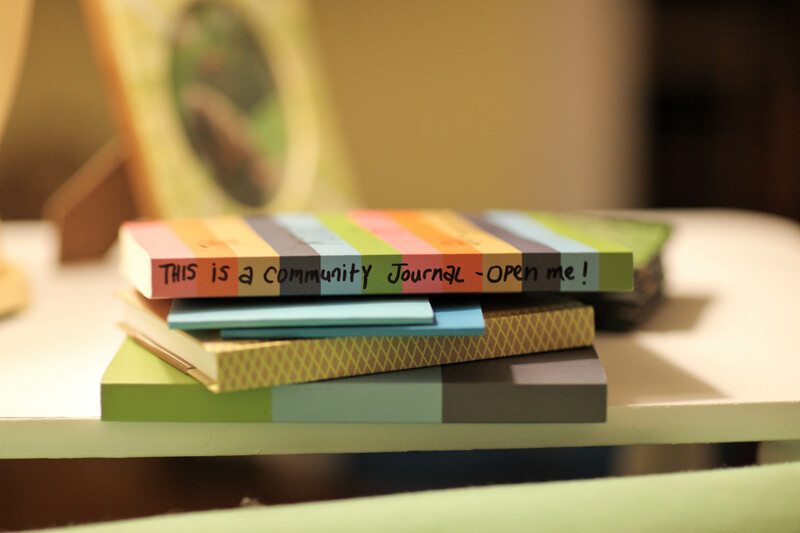 Inside: The MOTHER of all Journals found you! 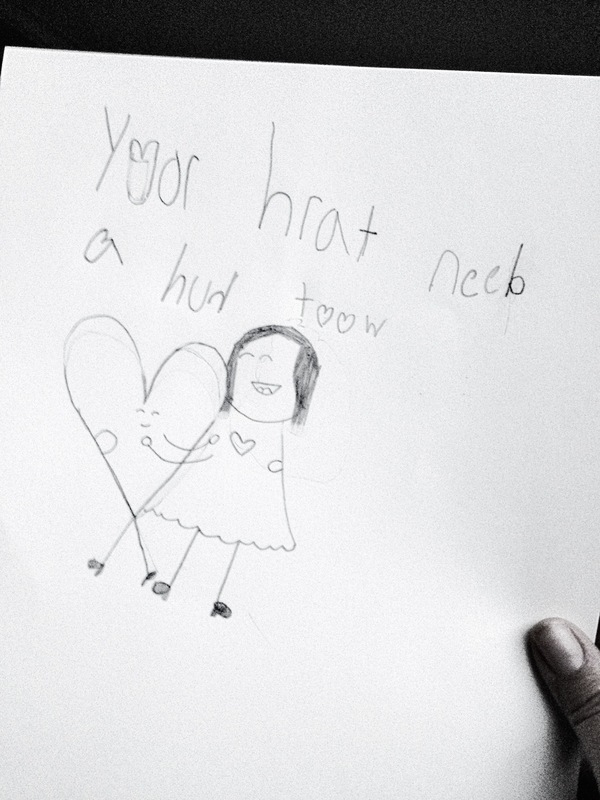 (yep, you) This is guerrilla kindness project is a collection of advice, confessions, joys, failures, encouragement and kindness from mothers all around our fine city. You can add to it, just read it, curse or bless it, cry in it, yell at it, kiss it, put it next to you like a friend, it’s totally up to you- you know just what to do (and so does it)…the only thing we ask is that when you are done, you leave it in a dry place for the next mother, sister, friend to find. If you aren’t a mother, that’s cool too… you can leave a message to a mom, or tell us how you wish you were one, or share what you think! 1. E-mail patience@kindnessgirl.com to find out an address to mail this journal back to. We will then share all the content online and in an art exhibit- anonymously of course! 2. Keep it for yourself or give it to someone you love as a treasure find! 3. Bury it, burn it…destroy it in a grand and beautiful way! Whatever you choose, it will be awesome…and let us know at patience@kindnessgirl.com. We love you last finder! Kindness Changes Everything! Jokes, secrets and poem journals are next…if you want to hide one, hit my e-mail up…OR if you start a journal in another city, let me know too so we can tell our friends in that area to be on the lookout! So… if you ever decide to post a link to an online (paypal) swear jar, let me know. It’ll curb my habit and support some sort of Kindness Campaign at the same time. And that was it, my kindness brain started to explode. See, it was kind of hard to tell that whole story, but it felt really good, and THEN to have a way to connect kindness just had me so undone, it brought me more joy than I say. The idea that we can grow together, be honest and tender, share a story, someone else share an idea, get to create a kindness campaign, and have an organic little movement together as a result of all of that-TOGETHER with you, well, that is my bliss dear friends. It is a virtual swear jar for us all to come together to turn our swearing into caring! Stop swearing and collect the money for all the four letter slip ups! Don’t stop swearing and still throw some money in the jar, you’ll love swearing even more! All the money collected in our jar during the month of March will go to ROSMY, a Richmond non-profit serving GLBT kids and helping youth be themselves. Josiah and I picked this lovely organization for about 57,000 reasons. We would love to have you join us! You can follow all the fun at the Facebook event page and on Twitter at @kindnessgirl. Tell your friends, especially the foul mouthed variety, spread the word as we would love to have you join us, let’s watch what kindness does this time!